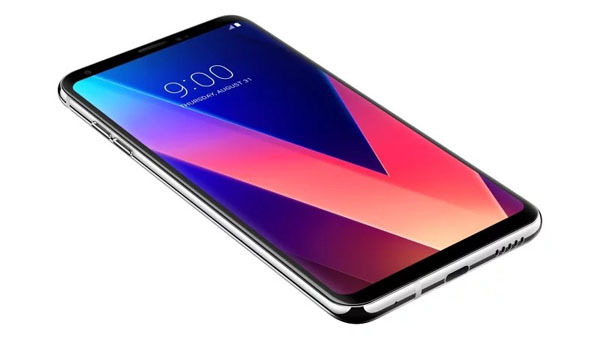 LG in the event MWC 2018 ago introduced the latest generation smartphone that is LG V30 ThinQ. But just a few weeks after the launch of the smartphone, the smartphone manufacturer is rumored to be working on the successor who would dubbed the LG V35 ThinQ. This news first comes from AndroidHeadlines which details what changes will be applied to the figure of this successor. LG V35 ThinQ will be equipped with 6-inch diagonal screen and QHD + resolution that will have 18: 9 aspect ratio. This smartphone will only carry the ratio of the screen to the body worth 80% which is quite small for today's mobile phone standards. But behind that, reportedly the edge-to-edge display design on the LG V35 ThinQ can be used comfortably with one hand because it is claimed to be able to provide excellent color reproduction. Unfortunately the screen will be used was just OLED type. While in preceding it has been equipped with P-OLED panel. Photography affairs, LG V35 ThinQ secondary camera which was originally 13MP size will be replaced by wide-angle lens with 16MP resolution. In addition the camera on the LG V35 ThinQ will also embedded Google Lens and AI features. The camera from the device will also feature Super Bright Mode that delivers high-quality images by combining pixels to 'super-pixels' for photos captured in low light / dim conditions. In the audio sector, the LG V35 ThinQ will still come with a 32-bit Hi-Fi Quad DAC audio feature and remote audio recognition of 5 mtrs / 17 feet. LG V35 has actually been introduced in Japan. This device is actually just a re-brand of LGV30 +. However, based on LG's internal document information obtained by AndroidHeadlines said that the successor handset from LG V30s ThinQ will indeed be called LG V35 or LG V35 ThinQ. Associated with the official launch schedule of LG V35 ThinQ, if we look at the launch of LG V30s ThinQ which was just done in February, then most likely the newest LG V35 ThinQ will be released in late 2018. 0 Response to "Released Late 2018, LG V35 ThinQ Specs Already Leaked First"